The ‘City of Nizams’ is a perfect melange of myriads of things, from old monuments and traditional delicacies to modern film city and other buildings. Every year it attracts millions of people from every walk of life, some of whom visit this city for no particular reason. The city makes one feel home, and no matter from where you are, you will find a sense of belonging here. This article will make a subtle attempt to help one, have a close insight in this perfect city of the state of Telangana. Book your tickets in advance and make way to delve deeper in Hyderabad. Everyday,a number of flights leave Hyderabad and also reach Hyderabad. Delhi to Hyderabad flights are quite common and also frequent. People from the capital city visit Hyderabad for a perfect vacation, where they can rejuvenate themselves, trotting in the city. Apart from a variety of popular places to visit like the Charminar, Birla Mandir, Golconda Fort etc. here is all what you can do here, and experience the best. This secluded relic of Hyderabad is a must visit for all those who want some respite from the bustle of the city and its maddening crowd. A serene and breathtaking piece of nature, this place offers a peaceful time to the tired souls. The place looks quintessential at the time of sunrise and sunset and one can have a perfect rejuvenating time, sitting there for hours with his soulmate. The lake is nested with slush greenery and a perfect place for all the shutterbugs to hone their skills, capturing some mesmerizing shots. This is Asia’s largest library, located on the banks of river Musi, in Afzalgunj in Hyderabad. Housing a million of books, journals, magazines as well as scriptures on palm leaves from the bygone ages, this is a perfect place for all the avid readers and writers, to have a peaceful time, escaping into their books. Visit this library at least once in your lifetime. The street of Barkas is a quintessential place, with the traditional Arab culture basked in it. Experience the grandeur of this culture, savouring the best and popular Iranian dishes at the local eateries, which are dotted here since ages. The most popular delicacy sold here is the harees, a sweetened form of hareem. Visit here for an Arabic heritage tour. Hyderabad is synonymous to Hyderabadi biryani, an extremely popular dish of hyderabad, which every Indian who has tasted in, will adore to the core. Made of rice and a number of other vegetables, the Hyderabadi Biryani is a must gorge-on whenever you are in this city. Savour the best at Paradise Hotel, which is quite near the airport in Hyderabad. The Necklace Road, just like the Marine Drive in Mumbai, is a trifle pride of Hyderabad. One is bound to be enthralled by the perfect driving experience at this road, where the minimum speed of your car remains 80 km/hr. It is nestled with a number of restaurants, where you can stop by and have some delicious dishes. 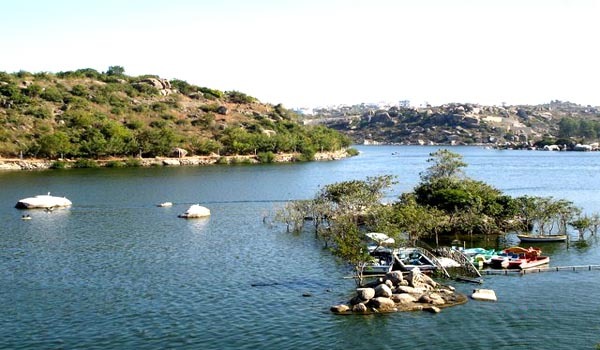 Look for the next Delhi to Hyderabad flights and fly to Hyderabad for some amazing holidays.